For over thirty years, Imagewërks Marketing has helped hundreds of businesses, large and small, achieve measurable growth and success. What started as a two-man print shop has grown into one of Minnesota’s top marketing agencies with clients nationwide. Our diverse team specializes in brand strategy, creative messaging and design, SEO, website development, mobile advertising, and social media marketing. 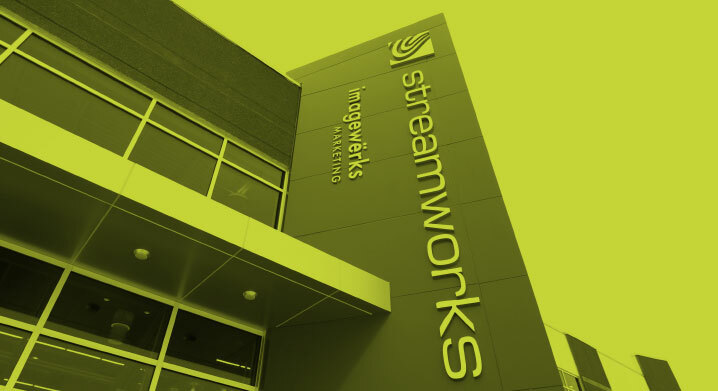 Through our parent company, Streamworks, our team can offer highly secure on-site direct mail, printing, and fulfillment services along with a full suite of data processing capabilities. Today, Imagewërks and Streamworks work under one roof, bringing right brain and left brain thinking together to create dynamic, highly targeted traditional and digital marketing solutions for a wide range of industries. It’s here, in our Blaine, MN headquarters, where ideas meet analytics, data meets design, and rubber meets road. Big Agency Reach. Small Agency Touch. On most jobs, we work as closely with our clients as we do each other. While we have a lot of confidence in our ideas, we’re here to offer expertise, not attitude. We work together to create work that doesn’t just draw attention to itself, but provokes response, builds brands, and grows business. After all, a clever campaign that fails to meet an objective is just an idea at play. For true marketing success, you need ideas@wërk. As comfortable with spreadsheets and databases as she is with creative brainstorming and design, Amelia brings both sides of her brain to every project. Nothing gets her going more than a problem to solve, especially with multiple deliverables due at the same time. 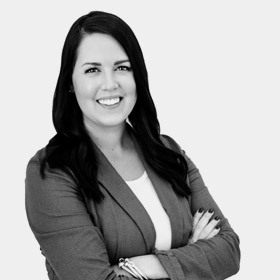 Amelia values her client relationships and goes the extra mile to help maintain budgets, deliver on-target creative and meet deadlines. Amelia obtained a B.F.A. from MCAD and gained valuable design, copywriting, project/account management, print/digital production experience in soup-to-nuts styled creative services departments of West Publishing, American Express Financial Advisors and Thomson Reuters. Amelia continued to challenge herself when she said “Yes, and” with the nation’s oldest improvisation theatre, the Brave New Workshop and managed all logistics for the company’s corporate training division. Today, she is enjoying getting back to what she knows best, everything! Able to juggle multiple projects in various stages of development without coffee spillage or losing her sense of humor. Likes inviting herself to her friend’s cabin – or house – for dinner, or staying with friends in Atlanta and Madison. Enjoys her arm being pulled out of socket on daily walks with her energetic beag-la-dore. A graduate of Winona State University, Brittany applied her Mass Communications degree immediately to digital media marketing. 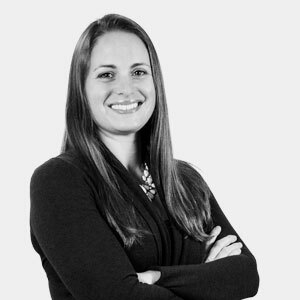 She has worked on the client and agency side, she understands project goals and seamlessly nails the implementation. Quickly becoming the wiz of the social media biz, working on everything from content creation, strategy, paid and community management. Brittany is a trend savant, has her thumb on the pulse of the ever-changing world of digital marketing, can # at the speed of light, and BTW, can tell you about the most LMAO cat videos for the week. 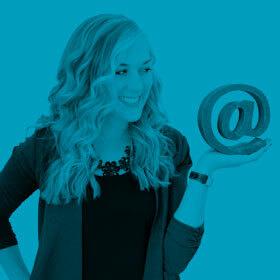 Brittany handles our paid search and social for a varied client/industry list. She enjoys finding solutions that best meet client objectives. She always knows the next new offering that will help boost traffic and results. A certified yogi, a garden guru, and the coolest of the cool cat caretakers we know. She can be found at alternative concerts and Dangerous Man Brewing slurping her favorite Peanut Butter Porter with her like-minded friends. Like her Bengal cats Lulu and Malcolm, Brittany is always on the move. Simultaneously listening to podcasts, doing chores around the house, chasing cats, chopping up ingredients for her next crock pot creation, distracting cats, firing up the grill for gatherings with cats…but not eating cats. After graduating from the University of Northern Iowa with a B.A. 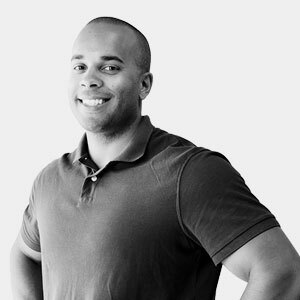 in English, Chad lived in Des Moines, Chicago, Seattle and Minneapolis, working in fields as diverse as litigation research and children’s book publishing. In 1999, he became a copywriter at The MainStreet Group, which Imagewërks Marketing later acquired. 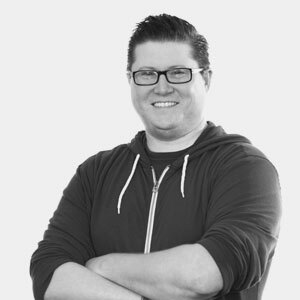 As a senior copywriter and account manager with Imagewërks, Chad writes TV, radio, print, online and direct mail advertising for clients, collaborates with the creative team on strategy and oversees audio-video production. 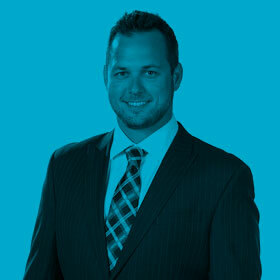 Chad’s experience includes working with clients like Comcast, Best Buy.com, BHG.com, Unicel, Catholic Eldercare and CPM. His ability to turn static marketing briefs into cohesive, creative ad campaigns consistently drives measurable results for his clients. Thanks to the latest advances in online communication, Chad is able to work seamlessly with Imagewërks’ staff and clients from his home office in Des Moines, Iowa. Developed creative and branding strategies that helped his client, Cable ONE, surpass its year-end sales goals three years in a row. 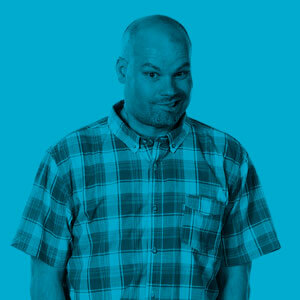 Is often found strumming the guitar, editing home movies or attending Iowa Cubs games with his son. Resides in Des Moines, Iowa, with his wife, son and three shedding cats. Although born and raised a Minnesotan, Chris May earned her degree in journalism and mass communications at New Mexico State University. 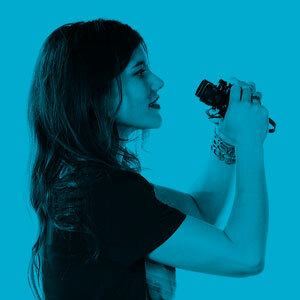 She then went on to attend Miami Ad School Minneapolis for art direction and design, which led her overseas to an internship at Berlin’s Schultz & Friends ad agency. 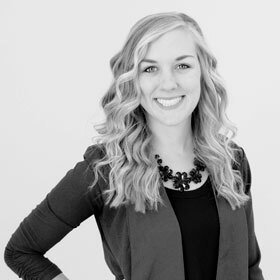 After graduating, she was recruited to Dallas by Hawkeye WW, where she worked on creative campaigns for several nationally recognized companies. Missing the Midwest, Chris eventually returned to Minnesota to join the team at Imagewërks Marketing. 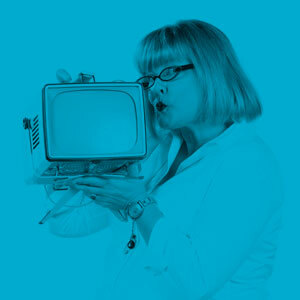 Chris’s design inspiration comes from surrounding herself with Pantone swatches, paper samples, innovative printing techniques, software shortcuts, design blogs and creative new formats—all of which empowers her to develop the freshest, boldest ideas for each new project. Leads our team in the conception and execution of creative, compelling solutions for IWM’s clients. Enjoys driving her Triumph Bonneville motorcycle on curvy back roads, camping, running and traveling. Loves to hang out with her husband and young daughters in their eco-friendly and efficient house they built in Andover, Minnesota. Christine is most happy when she is learning something new, devising a process, creating dynamic flow charts and precise spreadsheets. Continual motion coupled with a solid sense of humor is how she approaches life and her work. She juggles multiple projects at various stages of development and maneuvers the creative process with ease, never wavering from project objectives but wily enough to know when an agile solution is needed to meet deadlines. Unfazed by tight budgets and deadlines, Christine keeps her many projects moving without a misstep or ruffled feathers. She delivers quality, targeted results that have thrilled her clients, year after year. You can find Christine tackling her latest home renovation project, herding her two boys, her husband and cats while catching up on British TV/movies. Christine enjoys time with her family doing anything with an “-ing”: camping, skiing, cooking, traveling, crafting and occasionally, dog-mushing. With a B.A. 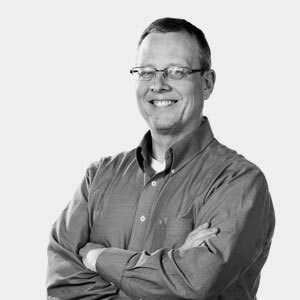 in communications from the University of Minnesota-Duluth and a graphic design degree from Brown Institute, Chuck’s career began at Anheuser Busch where he developed point of sale promotional marketing. He was then hired by The MainStreet Group in St. Paul as a graphic designer for cable advertising clients like Comcast, Charter Communications and Time Warner Cable. When Imagewërks Marketing acquired The MainStreet Group in 2001, Chuck’s cable and communications industry experience parlayed him into an expanded role. 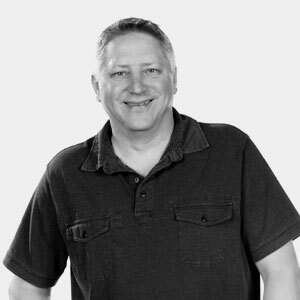 At Imagewërks, Chuck is responsible for concepting, designing and producing campaigns for his clients, all with the start-to-finish forethought of a project manager. His uncanny ability to cut through tangential marketing issues and other shrapnel gives Chuck the know-how to create campaigns that are strategy-driven, consumer-centric and outcome-based. 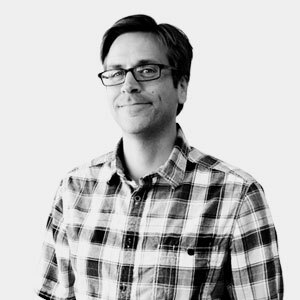 Chuck’s extensive design experience has honed an instinctive, almost reflexive ability to turn the marketing team’s notes and ideas into solid, executable creative platforms in record time. Loves the idea of taking a nap, or better yet, sawing logs for one solid night. But until that day comes, Chuck enjoys house projects, kid time and the pleasure of mixing a really good martini. Happy but bleary-eyed (see sleep deprivation reference above), Chuck lives in Shoreview with his wife, young son and daughter. After attending Florida State University, Eddie began his career in a more tropical environment. Though he started in a marketing data sales capacity, he realized that he wanted to be more involved in the digital and agency side of the industry, which is what eventually brought him North. 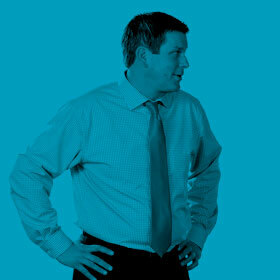 His main areas of focus include marketing automation, analytics, and data-driven marketing. Storm-chasing tendencies led Eddie to begin his college career studying meteorology. While he was fascinated by hurricanes, he ended up finding his niche in marketing. Eddie is a lifecycle marketer through and through. He demonstrates ongoing, meticulous, and efficient communication throughout the entire professional relationship. A little TLC goes a long way, and the success usually follows. Eddie is married, and his two young daughters occupy most of his free time. However, if he manages to sneak away from home, you’ll be sure to find him on the fairway practicing his swing. Unlike in Florida, golf is not a year-round sport here in Minnesota, so he spends the winter months cheering on his favorite pro teams instead. In an attempt to fully embrace his inner-Minnesotan, Eddie roots for the Minnesota teams- as long as they aren’t playing the Mets, Denver Broncos, Buffalo Sabres or Florida State Football! Eddie happily accepts any and all nap opportunities, but they don’t come often. Weekends at the Faulkner household often consist of chauffeuring their daughters to their many sporting activities. With so much time spent in the car with two young kids, Kidz Bop has become the default radio station. Eddie’s wife, Nicole, is a local attorney and they are often juggling crazy schedules, but when Mom and Dad go off-duty, they enjoy watching The Walking Dead, or relaxing at the family cabin. 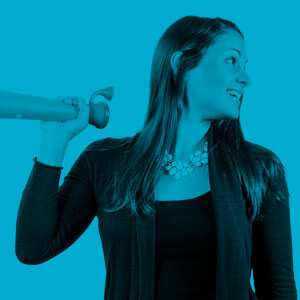 A coffee loving, motivated, solution-seeker, Jen knew marketing was for her early-on. 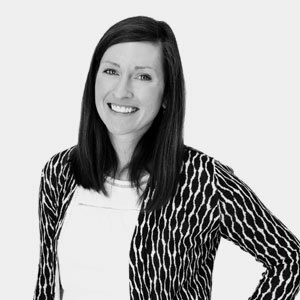 After honing her skills for several years in corporate brand marketing, Jen brought her love of creating effective marketing strategies into the client-facing side of the industry. She reads anything she can get her hands on about the business to stay on trend and to find innovative strategic solutions for her client’s needs. There is nothing more exciting for Jen than seeing her clients completely thrilled with how a project turned out – whether it’s a beautiful brand, record breaking acquisitions or finding efficiencies that saved time and money – to Jen, it’s better than chocolate covered coffee beans. Jen loves traveling, reading, coffee (duh), and all things interior design – HGTV is her jam. She has fun experimenting in the kitchen with new recipes to share with her family & friends, and she wants to get a hole-in-one with her golf league one day. You can usually find Jen brewing a fresh batch of coffee, or trying to keep up with her energetic housemate, a Golden Retriever named Wrenley. 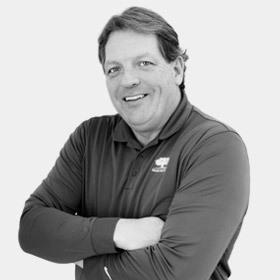 As half of the ownership team that created Streamworks, Joe Klohn grew up in the direct mail and printing industries – literally. Some of his earliest memories are of being on the production floor, watching the equipment run, and distracting the operators with endless questions and requests to give it a try. Once he was old enough, Joe held nearly every position in the company including delivery driver, machine operator, account management and sales. He has used that 20+ years of experience to guide Streamworks’ evolution into a strategic multi-channel marketing partner, focusing on sales and operations. In the fast-paced world of deadlines and ever-changing technology, Joe leverages his experience and vision to ensure Streamworks’ continued growth and keep operations (and clients’ projects) running like a well-oiled machine. 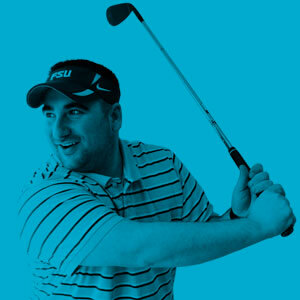 Heading a fast-growing company doesn't leave a lot of free time, but in the limited time he has, Joe enjoys hitting the links in the summer and playing a friendly game of hockey in the winter, like all good Minnesotans. Joe is a proud husband and father to three active kids (who have yet to spend time on the production floor). Proven results-focused digital marketing and product leader with over 20 years of management and digital media experience. John’s successful track record of building and launching products, training both legacy and new-media sales teams to deliver results and foster change within advertising and marketing organizations. A fiercely competitive marketing professional, who thrives on winning solutions for his clients. Recently, John established the union between Imagewërks’ digital media solutions with direct mail capabilities and reverse IP capabilities, proudly announcing our commitment to "Prospect Engine” as long as we all shall live. John’s reason for getting up in the morning (besides his seven children vying for the bathroom) is to provide independent retailers with actionable, effective and efficient digital media solutions. With seven children and without a nanny like Maria, John can usually be found cheering on one of his kids doing something fabulous. He calculates he has watched over 75 hockey seasons, 45 football seasons, 60 baseball seasons, and 15 years of dance. See John @ wërk, several bathroom options, no waiting. If there’s one thing to know about Katie, it’s that she is a natural born leader. Having held various roles such as captain, ambassador and manager, Katie puts her heart and soul into everything she does always helping those around her succeed. At Imagewerks Marketing, Katie’s ability to think creatively and strategically has provided IWM clients with a foundation for growth and success. Her community and industry involvement help her to stay ahead of the curve and bring new ideas to the table. 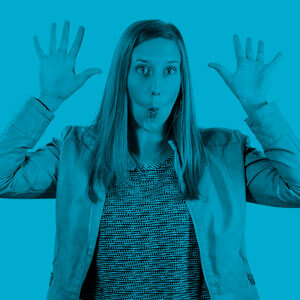 Today, she puts her experience and education to work helping clients think about their marketing strategy differently. She helps them recognize the root of their challenges and identifies solid solutions to overcome those challenges. Her inquisitive nature and positive personality have proven to be an asset to her accounts. She makes sure to see each and every project through from start to finish always keeping the client informed of progress and building trusting relationships with them as she goes. 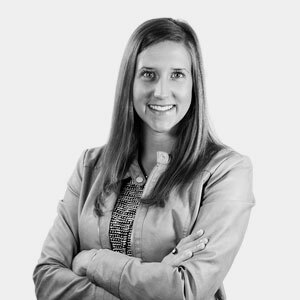 Generates strategic, integrated marketing campaigns using both digital and traditional tactics, Katie achieves results for her clients. Being an over achiever, she helped obtain a 150% return on investment for a large senior housing provider. If it involves water, it involves Katie: Swimming, triathlons, boating, and cabins. She’s also a home brewing aficionado. Chillaxing with her friends, family and husband – usually with a good movie, her dog and her latest recipe experiment from the kitchen. 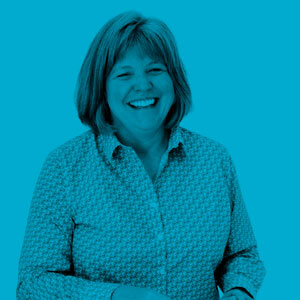 A former corn detasseler from Iowa, Leslie’s dedicated work ethic developed at an early age as well as her sense of humor with her first-ever job title. According to elementary school teachers, networking and relationship building came naturally to her and Leslie honed these skills over the years in both the client and agency side of the marketing and advertising business. A keen negotiator, her clever deals have made media planners, buyers and sellers laugh and cry at the same time. Leslie is a strategic thinker, an active listener, a problem-solver and a gatherer of kind, intelligent people in all aspects of her life. 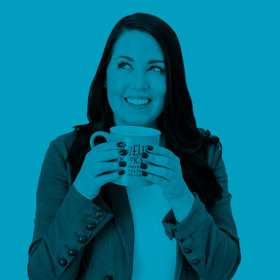 She is happiest when juggling multiple deadlines, deliverables, dilemmas and other stuff beginning with d.
Variety propels Leslie like rocket fuel. 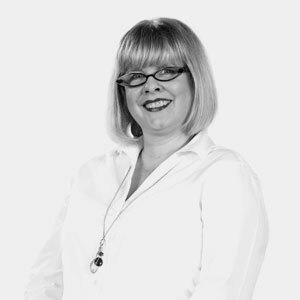 She is constantly propelled to keep on top of new omnichannel solutions to help her clients, across multiple industries solve unique problems and achieve their goals. A DIY TV star, her basement reno episode can be found in the archives of the Sweat Equity show, Leslie doesn’t sit still for autographs much. She can be found mountain biking with her family, exploring the country and trying anything new that comes her way. Her two sons inherited her never sit still tendency which challenges Leslie and her husband to capture important moments in photos, chase their ditch-digging miniature wiener dog and Frisbee-catching terrier and roam the power tool aisle without drooling over the latest gadgets. 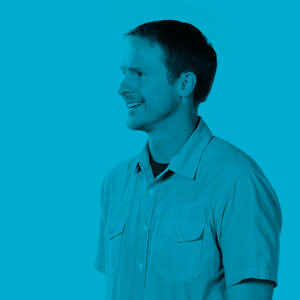 Matt plays a hands-on role in facilitating responsive web design with usability best practices. His clear understanding of web service principles enables him to determine the most cost effective way of accomplishing a client’s objectives. His sites not only meet customer requirements, but exceed standards and modern design. 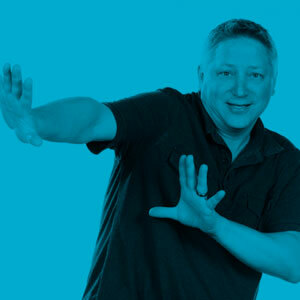 Uses his strong technical aptitude and design skills to communicate and create user-friendly web experiences. Enjoying the many seasons of Minnesota by biking, running or skiing with his family. Matt attended St. Cloud University, in his home town, a.k.a. : Utopia, Paradise, Heaven on Earth. A veteran of the United States Marine Corps and a former Marine Corps Marital Arts Instructor, we believe whatever he says about St. Cloud, or his opinions on pretty much anything else after seeing the size of his biceps. Matt brings the precision of a military bed corner to everything he does. As a result, he continually looks for easier and more efficient ways for his clients to update content on their websites. In the last months with the Marine Corps, his proudest moment was being selected as a liaison to Dover Air Force Base. His assignment was to prepare the remains of fallen Marines to be escorted to their places of burial. We are proud to have Matt on our team, proud of his service to our country and always aware that he could squish us like a bug. 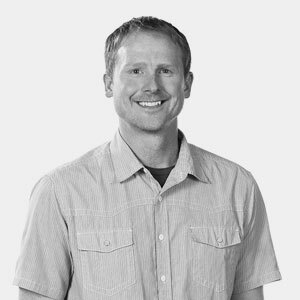 Matt is motivated by working with designers to bring complex concepts to life, especially those that stretch his skillset. Like a military exercise, he enjoys the extensive preparation and planning that most effectively uses his resources and generates ways to minimize repeat actions during a building of a website. His two boys know he is a complete marshmallow when it comes to them and are able to launch multiple sneak attacks at a moment’s notice while Matt tries desperately to distract them with his really-really lame Dad jokes (don’t tell him we said he was lame). Working out…again with the biceps, winning ping-pong tournaments and spending time with his family. 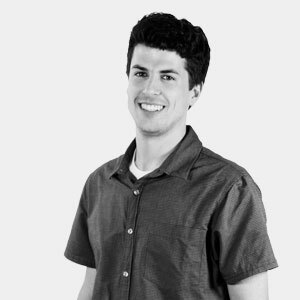 A graduate of Brown College, Matt started his career as a graphic designer but gravitated towards web design and development. 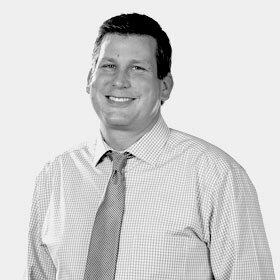 Since joining the Imagewërks Marketing team in 2001, Matt has been involved with the planning and development of numerous client websites. In addition, Matt handles much of the Search Engine Optimization (SEO) and Search Engine Marketing (SEM) for our sites and implements most all of the Email Marketing tasks for our clients as well. 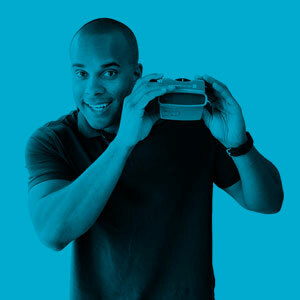 Is a web services powerhouse and a key team player in our digital department. He is usually seen peeking out over a computer monitor. Loves anything with four wheels and an engine, as well as putting his brain to work fixing, tinkering and improving fine-oiled machines. Can be found enjoying his wife Reysol’s unbelievable cooking/baking or practicing/coaching the current seasonal sport with his son Theis. As a graphic designer and a web developer, Mindy is a rare find. Not only does she know the technicality of coding, but also she’s able to incorporate her strong understanding of design principles and best practices to create user-friendly and aesthetically attractive websites for clients. Before coming to Imagewerks Marketing, Mindy spent time at the Pioneer Press, IN Food Marketing and Design, Nexus Media and Windmill Design. 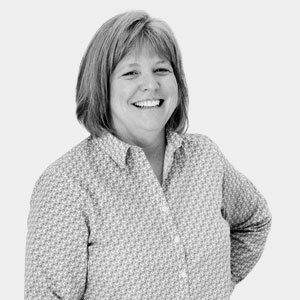 Her vast industry experience lends itself to IWM’s variety of clients; she can easily switch gears from one business to the next without missing a beat. Mindy’s goal is always to create a site that makes the client proud and is worthy of showing off. She’s known for adding little details that make a huge difference. Excited about new web design trends and best coding practices. Seeing what’s next is a thrill for Mindy. Testing out the latest clean eating recipe – and sharing it with the team – or putting her design skills to use with DIY home projects. Playing with her daughters on a quiet street in the suburbs. Don’t let his humbleness fool you. Nick’s cool, calm and conceptual approach brings ideas to life. Involved with the world of art at a very young age (he was painting and drawing masterpieces as a kid), Nick found his true calling at the Art Institutes International in Minneapolis where he earned a B.S. in graphic design. He finds it difficult to pin down one of his biggest professional accomplishments, of course, but he’s the proudest when he gets to see his work out there for public consumption doing its job and achieving results for the client. 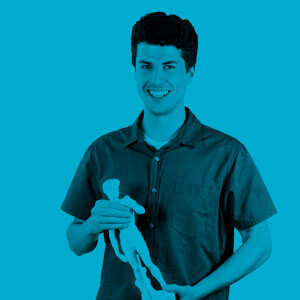 IWM’s clients benefit from Nick’s desire to constantly create and reinvent. He’ll take any brand in any industry and give it a tailored look that reflects their distinct business. It’s a challenge he always looks forward to. 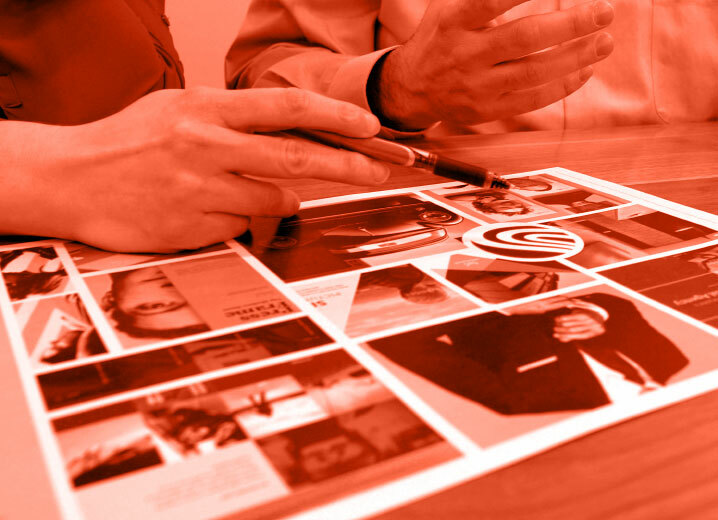 The master of uniting a brand’s wants and needs to its desired audience – in a visual sense. As a home brewer, he’s constantly testing out his latest brew at the softball field, golf course or the office. Big on family time. Just hangin’ around watching movies, playing cards or taking trips together. Absconding with his family’s video camera at a young age, Sam created spoof movies with his fellow neighborhood hooligans. A film production class in high school solidified his career choice and he later graduated of The Art Institute of Minnesota. 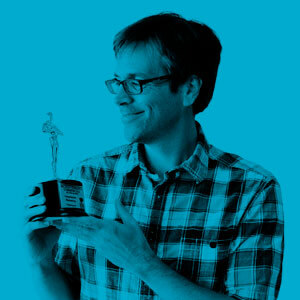 Early on in his career, he created 3D motion graphics, modeling (not the runway type) and video editing. Progressing to fully dimensional, working in 2D and 3D, as well as honing his animation and editing skills along the way. At Imagewërks, each day is a box of chocolates. One day he is animating, the next editing and the next–seeing the pattern here?– shooting video. He keeps it fresh and interesting by pushing his abilities and progressing his skill set. Sam enjoys mountain biking, skateboarding “dude! total burly fast plant man!”, hockey and watching sports of all kinds–except golf on TV–I mean, who does that? Hanging with friends, catching TV or sports and playing video games, while enjoying a nice cold beer. We checked his ID first. Scott is originally from Gilford, NH where he enjoyed downhill & water skiing, tennis, and spending time at the ocean. He has his B.M. in music performance from Wheaton College and pursued his music career at the University of Minnesota where he received a M.M. in music performance. After graduating from the University of Minnesota, Scott became a professor of music at Northwestern College and founded the Academy of Music—an organization he directed for over 10 years. 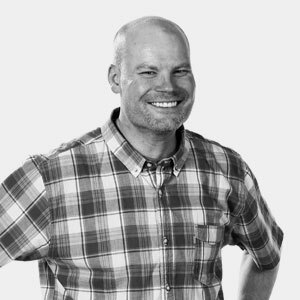 After years of fostering his passion for music Scott decided to move into a project management role at Imagewërks Marketing in 2004 and three years later became director of web services. Today, Scott works hand-in-hand in the day–to-day operations and management of the ever-growing web team at IWM. 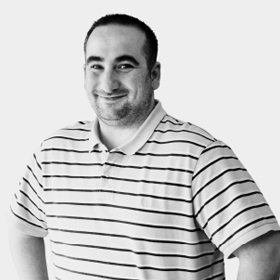 He has deep knowledge and intuitive understanding of the ever-changing world of website development. Whether it’s managing our largest retail accounts, leading client training sessions or tracking web processes, Scott thrives on the success of his web team. Enjoys coming up with complex web solutions and is constantly thinking of new ways to increase our IWM web department’s productivity/creativity. He is constantly pushing the envelope…what can’t he do? Is actively involved in the Twin Cities classical music scene as a freelance trumpet player, enjoys playing tennis, skiing, camping, all things related to “Mac/Apple” products and especially enjoys Japanese food. Call him super dad! He enjoys taking his three kids to their extracurricular activities, coaching his son’s baseball team, and loves taking his family camping. 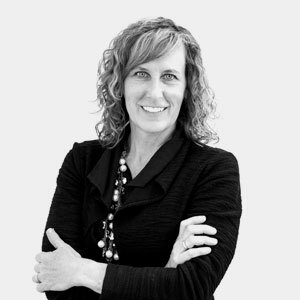 With over 15 years of marketing experience, Tara is well versed in the strategic planning, content, and design and production of print and media advertising. 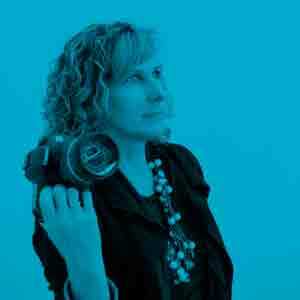 Prior to joining Imagewërks Marketing, she spent eight years in marketing before becoming a director of marketing and adjunct professor at Concordia University. 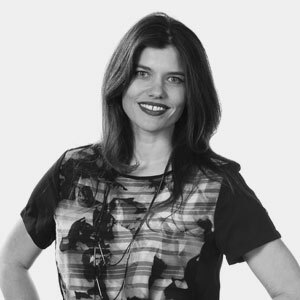 As chief marketing officer at Imagewërks she has built a reputation for successfully creating strategies that produce results and evoke response. In addition, she consistently negotiates substantial media savings for clients, allowing those with limited resources to market as aggressively as possible. 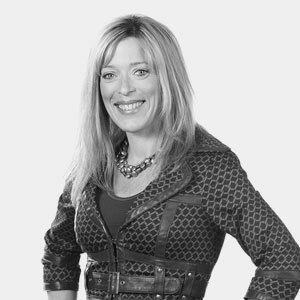 Tara drives overarching strategies that guide the creative and production teams toward the generation of targeted, effective marketing solutions. Earned office—and customer—notoriety for negotiating a client media contract that yielded $175k worth of radio advertising for just $32k. A recent project surpassed direct mail national averages by garnering over 7.31% response rate. Is happiest in any situation that involves a flight, flip-flops and a spot on the beach. She’ll also show up if there’s any promise of hiking, biking or a picnic lunch. Relishes life as a wife and mother and is absolutely smitten with her two young boys, Caden and Isaiah. When she’s not having fun with the men in her life, she’s snapping their photos and documenting their adventures in her family scrapbooks. Tony Zirnhelt’s journey to Streamworks’ co-owner and president began 21 years ago when he acquired Action Mailing. 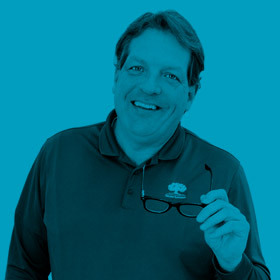 Through strategic acquisitions and partnerships and a passion for marketing, Tony parlayed Action from a 5 person low-tech mail shop into what Streamworks is today – a strategic multi-channel marketing company. He attributes Streamworks’ success to an ability to recognize trends, embrace technology and a willingness to evolve to meet changing client needs. Tony is one of the lucky ones who can honestly say he has his dream job, thanks in no small part to the talented and hard-working Streamworks team he has helped assemble. 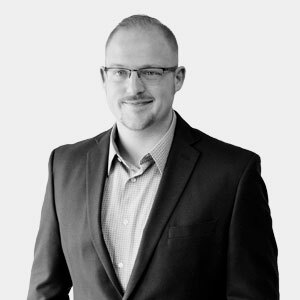 Adept at quickly sizing up a situation, he is skilled in using creative solutions to help clients capitalize on opportunities and generate results. Never one to let grass grow under his feet, Tony likes to stay active skiing, sailing and exploring locales on and off the beaten path. Tony’s happiest moments are spent with his wife Sarah and their three kids. Tyler's lifelong obsession with all things media has led him into nearly every facet of the ad business. While most kids were suiting up for little league, Tyler was booting up his first copy of Photoshop 4.0, and learning the tools of the trade. His early passion for design and production birthed a love affair with brand strategy that whisked him away to Drake University to double major in marketing and creative advertising. 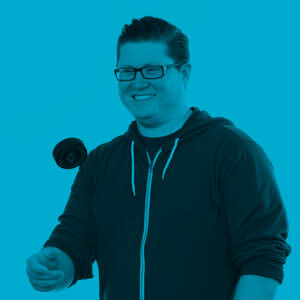 Since then Tyler has worked as a copywriter, social media strategist, and creative marketing manager to help brands build lasting connections in the digital space. 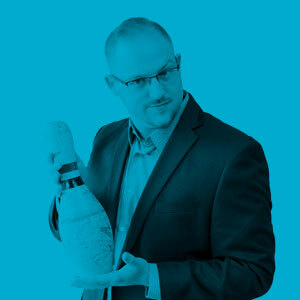 He landed at IWM to become a tireless advocate for managing and launching SEO and SEM strategies that ensure clients are in front of consumers when and where they need to be. Now, as Director of Digital Marketing, he helps unify client initiatives across paid media, lead generation, UX and marketing automation. Develops strategies to fully integrate brand identities into each touchpoint and deliver maximum value with every interaction. When not championing the virtues of quality branding, you can find Tyler in the pit at First Avenue, or waist deep in crates of dusty vinyl at Cheapo Records. Spends his free time cooking Indian food, repairing vintage drum machines, watching Seinfeld reruns, and flawlessly quoting The Big Lebowski. "But that's just like... his opinion, man." We’re always looking for talented and qualified people to join our team. Search our current openings!